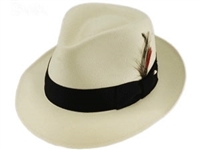 100% Panama - Handwoven in Ecuador this 3" beauty is vented. The interior crown is covered for protection and also has a comfortable Dri-Lex sweatband. 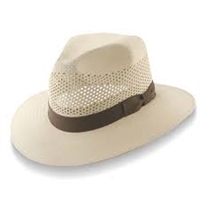 Featuring a 100% panama straw material, this fashion accessory lends supreme durability and strength at all times. A double-stitched band around the base of the crown enhances the overall visual appeal.